Acquiring the summer sun-kissed glow is probably a priority for most at this time of year, but successfully obtaining this glistening glow can be achieved in a more favorable way for your skin. Reduce sun exposure and keep yourself feeling youthful and refreshed this summer with a few helpful hints from Raleigh Plastic Surgery Center. One of the most beneficial ways to maintain healthy skin begins with a regular skincare routine. Getting in the habit of applying moisturizer, SPF, and washing your face with a proper face wash are just a few ways to work toward your glistening glow. Exfoliating your skin is also important to help unclog sweaty pores, revitalizing and rejuvenating the skin. You may think this is as cliche as it comes, but applying SPF each and every day should be your number one priority when striving for great skin. A minimum of SPF 15 should be applied every 2 hours, especially during peak hours between 10 a.m. – 4 p.m. And don’t overlook places such as the tips of your ears, neck, and lips. For ladies, spice up your lip protection with lipstick containing SPF. There is an endless amount of brands that carry lipstick in all colors which contains SPF. Also consider wide-brimmed hats, sunglasses, and light layers. Speaking of lipstick, let’s discuss a good makeup routine for these long, hot summer days. Transitioning from a heavy liquid foundation for the winter to a tinted moisturizer, BB cream, or mineral powder for the summer wouldn’t be a bad place to start. A variety of these products also contain SPF, which would provide further sun protection. But don’t forget about the application of these products – be sure to properly wash your makeup brushes! Something as simple as clarifying shampoo and water would be a sufficient start. Water. Drink lots of it. This cannot be stressed enough as to how important this is for not only your skin, but for your everyday health. Specifically in the summer, hydrating is crucial with increased activity and sweating. And even if you think your skin is too oily for the summer, think again. Small amounts of oil are essential to maintain the body’s natural levels. StyleSeat’s Beauty Blog recommends coconut oil, which even gives you the sweet, savory smell of summer! Foods rich in antioxidants are also beneficial when striving for your summer glow. Our board certified surgeons Dr. Rhett High and Dr. W. Glenn Lyle recommend loading up on berries, leafy greens, sweet potatoes, walnuts, and pecans to provide your body with these rich nutrients. The sizzling heat can cause excess oil and clogged pores. Consider treating yourself to a monthly facial for beautiful skin and a stress-free environment. The aestheticians, Jen and Melonie, here at the MedSpa @ RPSC have several techniques to get your skin ready to endure the upcoming Raleigh summer months, and leave you feelin’ so fresh so clean! 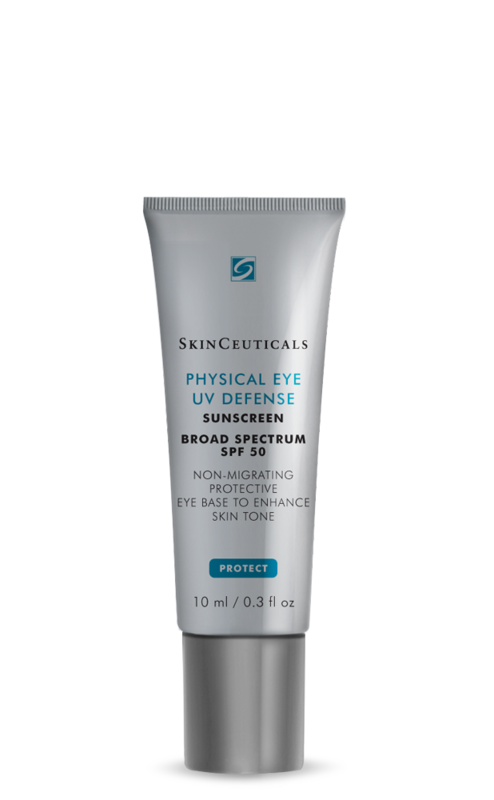 A few of their most popular products are Skinceuticals Physical Eye UV Defense and Skinceuticals Antioxidant Lip Repair. Not only is a general skin care routine important, but if you have recently had a procedure or you are considering one in the upcoming future, taking care of your scars is extremely important. To reduce the risk of hyperpigmentation and permanent discoloration of the scar, the surgeons here at Raleigh Plastic Surgery recommend staying out of the sun completely after surgery for the first one to four months. After recommended by your surgeon, scar creams should be applied for the first six months after your surgery, and may continue to be applied for up to one year. 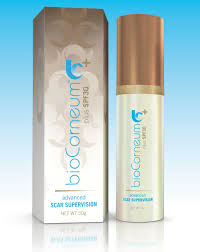 Dr. Rhett High and Dr. W. Glen Lyle recommend SkinMedica and Biocorneum. The Raleigh Plastic Surgery Center offers Biocorneum for postoperative purchase. In addition, silicone scar patches have had a positive result relating to scar healing. This thin sheet of silicone dioxide may be applied over the scar, lasting up to 24 hours. It’s easy application, durability, and receptiveness to sensitive skin make this very popular among patients.